Calls sexual harassment allegations "false." 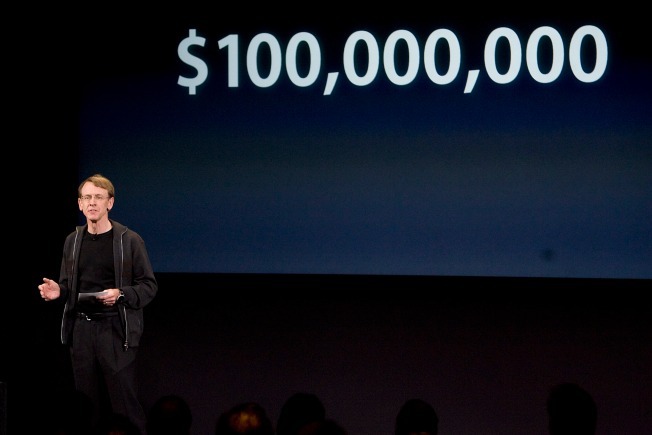 John Doerr at an Apple event. John Doerr has made headlines for years because of his investing prowess, helping to push along the "greatest legal wealth creation in history" (one of his quotes). Now, he's in the headlines, defending his massively successful firm against claims of sexual harassment. Ellen Pao, a partner at VC firm Kleiner Perkins Caufield and Byers, claimed that she had been sexually harassed by another partner at the firm. She also claimed that women were treated less than equally at Kleiner Perkins, often left out at top-level meetings. Wednesday afternoon, Doerr broke his silence, releasing a statement calling Pao's allegations "false," saying his firm of 32 years will "vigorously defend our reputation, and are confident we will prevail." Doerr went on to write that Kleiner has a history of diversity when it comes to hiring, adding that he's like to more things specfically about the case, but "legal constraints prevent us from responding fully at this time." Doerr says the firm has hired an investigator. Don't expect this case to go away anytime soon.